You know him as the star of TV's Dog Whisperer and Cesar 911. 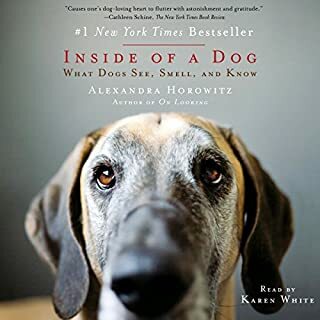 Now, America's best-loved dog expert takes listeners inside the canine mind and explains how audiobooks can help dogs overcome the stress, boredom and depression they can experience when their human companions leave the home. 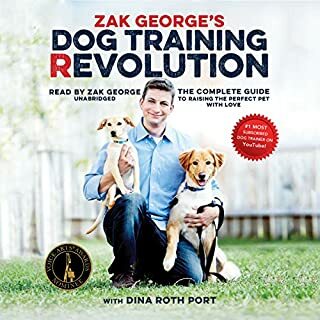 Throughout this exclusive audiobook, you'll learn where a dog's separation issues might come from, and gain practical tips for making your life - and your dog's life - easier when you're apart. 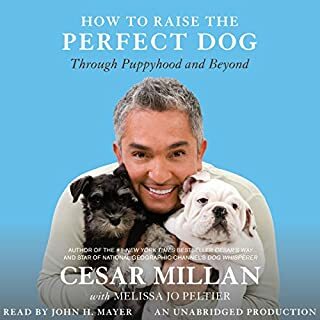 Narrated by Cesar himself, Cesar Millan's Guide to Audiobooks for Dogs draws on research at his Dog Psychology Center in Los Angeles to present a step-by-step guide to setting up Audible in your home and choosing the best audiobooks for your dog. 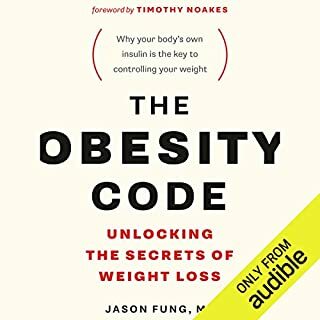 You'll discover why factors such as volume and a narrator's gender matter, and why Bloodhounds don't necessarily prefer mysteries. 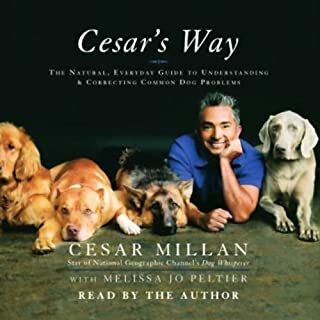 You'll also hear uplifting, real-life stories from Cesar's research on the effects of audiobooks on dog behavior. 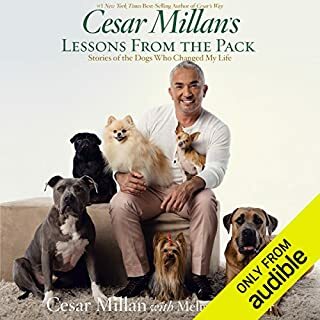 By turns practical and illuminating, Cesar Millan's Guide to Audiobooks for Dogs is packed with fascinating insights into dog behavior and inspirational tips for creating a happier and healthier relationship for you and your four-legged friend. 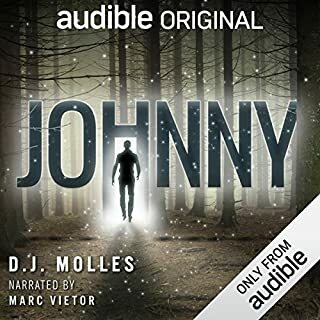 ©2017 Audible, Inc. (P)2017 Audible Originals, LLC. I have a Mac Mini attached to a TV, so I can play stuff from my hard drive on the smart TV. 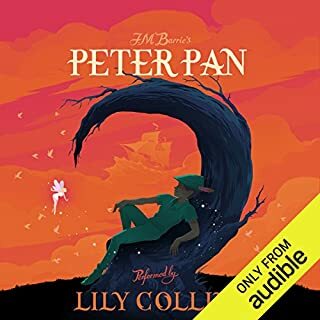 I've noticed some audiobooks have a nice calming effect. We had two Siberian huskies rescues and after two years fostered another. She was pregnant. She was also the most psychologically damaged dog I've ever seen. Siberian huskies can survive a lot but 5 years in a crate, bred non-stop was too much for this little girl. She passed on some of her neurosis to her son. Our original two died of age-related causes and this severely depressed the Mom and her son. I started listening to my audiobooks on the TV and noticed they seemed calmed. They also love The Lord of the Rings movies. Usually, picking up my car keys can cause a meltdown. But now, I put on Lord of the Rings or an audiobook and they go into the living room and lie down. I've looked into the living room from outside and see them watching the movie! 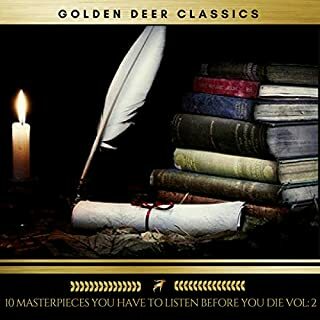 If it's and audiobook, they are sleeping. It's not all movies or audiobooks, some just don't work. My dogs have a large fenced yard they can access at will with a doggy door but when I'm gone they are inside listening or watching. No meltdown when I come inside either! If I forget to leave a device on, I am greeted with screaming howling scolding. I'm glad someone researched this. for years. They really don't care much for the mystery/thriller genre which is my addiction, so I usually only listen to those with earbuds. They prefer pleasant, calm female voices as a rule, though I notice my Chloe seems to like Cesar Milan's voice, and my Oso used to perk up when he heard Barack Obama on the news. They had/have no use for music, I noticed, though really enjoy Gregorian chants, though not with instrumental background. I often play Alberto Turco Nova Schola Gregoriana's Gregorian Chant for Meditation when I want them to calm down (no, Pit Bulls aren't religious, and neither am I. The chants are just really calming). 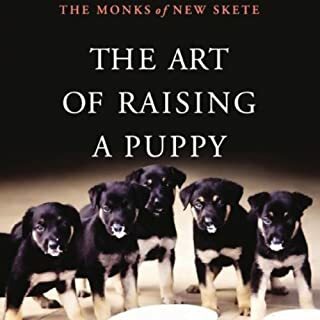 I already have some of Mr. Milan's suggested books for dogs (e.g., Trevor Noah's and Pride and Prejudice) and will now look at some of the others. 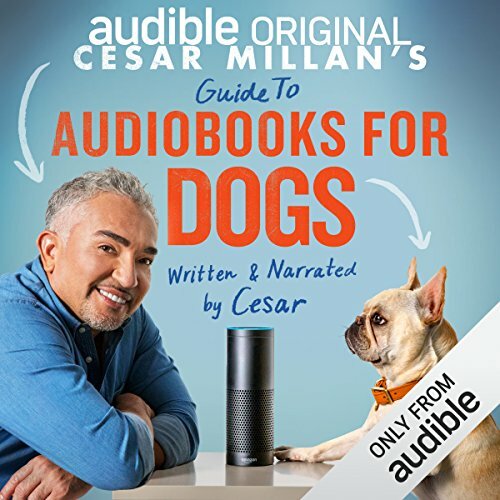 I think this is a really cool thing for Cesar and Audible to do for us and our furry friends. I was wondering for the longest time if leaving a tv on it was helpful to fight then boredom that my dogs could have while I'm gone. Now I feel more confident of what steps to take to make the life of my pets... and mine... more positive. 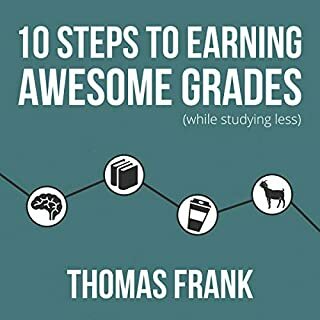 Makes me want to get started! 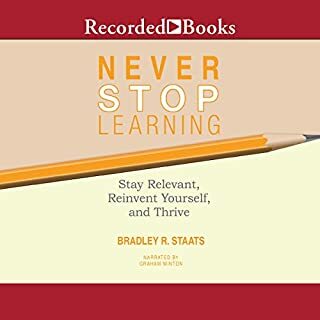 Learned a lot. I want more of his guidance! 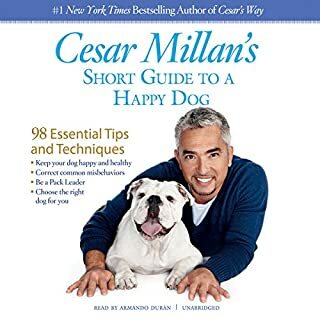 What disappointed you about Cesar Millan's Guide to Audiobooks for Dogs? it was basically just a commercial for one of those Echo speaker things, or Alexa. 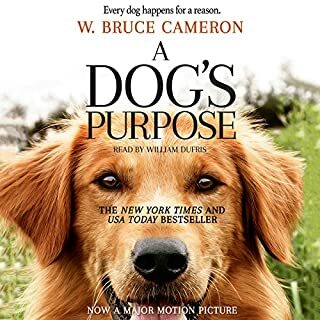 Has Cesar Millan's Guide to Audiobooks for Dogs turned you off from other books in this genre? If you could play editor, what scene or scenes would you have cut from Cesar Millan's Guide to Audiobooks for Dogs? Cesar has such extraordinary insight into human and dog nature. 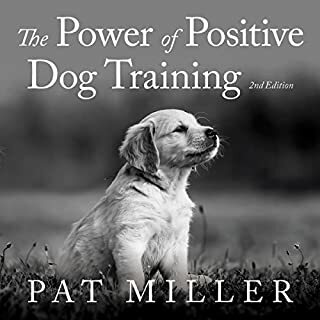 In so many ways, his message and this audiobook is so much more than just a technique for dogs. Cesar has that elusive and charismatic quality that makes you want to listen and understand. I'm going to use this on my dog! I stopped listening when it was promoting the echo. 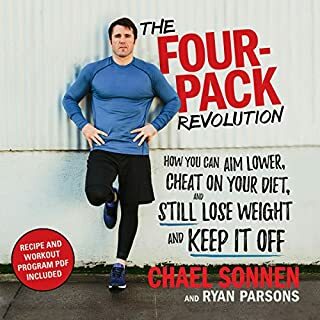 I don't want to download a free ad when I thought I was getting a book. i have a blue heeler kelpie mix who is very nervous when im not home and when he lays with me and listens to my books he calms right down. the way cesar explains it makes more sense. 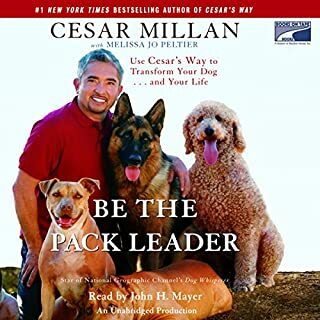 Cesar includes general understanding and training of dogs, pack mentality, how dogs relate, and need for exercise as well as separation anxiety. Then ties it together. it's training to simple Pavlovian reflex. 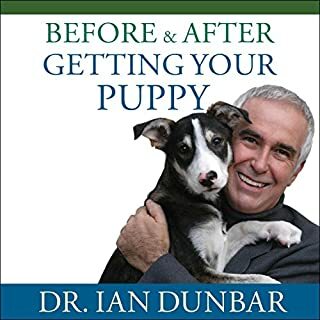 a great listen for all dog owners. yeah, human voice and the concept is good, but this was an ad to get an amazon echo for your dog. id rate it much higher if it wasnt an obvious ad.